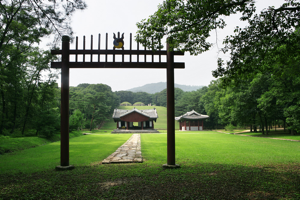 Byung In Lee, Grand Master and Chairman of the World Mu Sool Won, came from the Junjoo Lee Royal Family who ruled Lee Corea for 519 years from 1392 to 1910. He is one of the 18th generation descendants of Grand Prince Yangryung, the eldest of the four sons of Taejong the Great, the third king of Lee Corea and the fifth son of Taejo the Greatest, the founding king of Lee Corea after Wang Corea (918–1392). 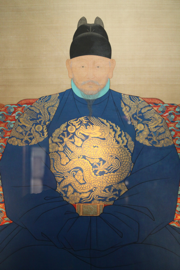 Taejo the Greatest of Lee Corea was a 22nd generation descendant of Han Lee, the founding father of the Junjoo Lee royal family line, who settled in Junjoo and served as Sakong (equivalent to Secretary of the United States) during the reign of King Kyungduck of Shilla (57 BC–935 AD). Sakong Han Lee was in fact a 36th generation descendant of Achan Alpyung Lee, the founding father of the Kyungjoo Lee family line and the Chief Leader of the six provinces comprising then Shilla, who raised Hyuckguse Park and introduced the first democratic voting system known as Hwabaek Committee in 57 BC to make him the first king of Shilla. Taken together, Grand Master and President Byung In Lee is a 42nd and 78th generation descendant of Sakong Han Lee and Achan Alpyung Lee, respectively. Sakong Han Lee (? – 754 AD), the founding father of the Junjoo Lee royal family line, stood out among others in his very early years, qualified to join the Royal Academy of Shilla at the age of 15. After being elected to serve as Sakong at 18, he administered the Kingdom of Shilla with justice and great wisdom, bringing peace back to the Kingdom of Shilla by ending the turmoil after the unification of the four ancient Korean kingdoms: Corea (aks Coree, Cocooree, Koguryo, 277 BC–668 AD), Baekje (18 BC–660 AD), Shilla (57 BC–935 AD), and Kaya (42 AD–562 AD). Later he got married to a daughter of Eun Hee Kim, a 10th generation descendant of Choon Choo Kim (603-661), the 29th king of Shilla. 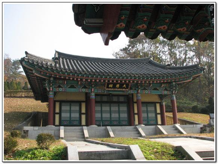 Since he had first settled in Junjoo, his descendants lived there and produced many scholars, high-ranking officials and military generals of Shilla and Wang Corea. In particular, General Yang Moo Lee, his 17th generation descendant, served as the Commander-In-Chief of the Kingdom of Shilla Military. His 18th generation descendant Aan Saa Lee Mokjo the Great (? 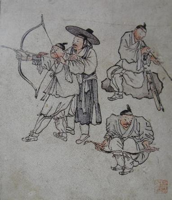 – 1274), who was extremely gifted and talented in martial arts and archery, moved from Junjoo to Samchuck, defeating Mongol invasions and wiping out Japanese pirates looting towns along the east coast of Wang Corea. 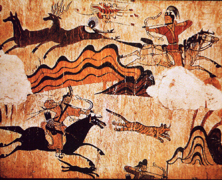 He later moved further north to Eujoo to become Eujoo’s Military Chief of Staff, defeating more Mongol invasions. When the region was under the control of the Mongol Empire, he stealthily moved in 1255 to Aldong, a province of approximately 1,000 Manchurians who had their roots in Corea or Shilla, becoming the Chief Leader and Darughachi of the province and starting to build power. 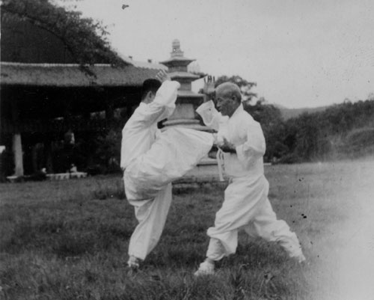 His son Haeng Ree Lee Ikjo the Great and his grandson Choon Lee Dojo the Great subsequently succeeded his power. 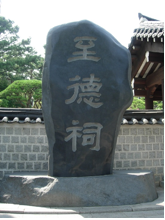 Later, Jaa Choon Lee Hwanjo the Great (1315-1361), his great-grand son and the 21st generation of Sakong Han Lee, helped Wang Corea to resume the lost Manchuria in 1356 and became the Leader and Chief Military Commander of Sakbang Province, moving to Hwaryung (present Youngheung). 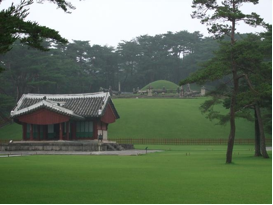 Sung Kye Lee Taejo the Greatest (1335-1408), the son of Jaa Choon Lee Hwanjo the Great and the 22nd generation of Sakong Han Lee, was exceptionally smart in his early years and was a genius at horseback-riding, martial arts, archery, and military tactics. He was particularly good at archery, referred to as God of Archery. With his father passed away, he succeeded his father’s title Northeast Chief Military Commander, having never been defeated for his 30-year military career. He resumed the Capital of Wang Corea from the red-turbaned bandits in 1361, defeated tens of thousands of Nahachu-led Mongolian troops in 1362, brought peace to the Northeast by pushing back Manchurian invaders from the Northeast, and wiped out Japanese pirates hovering around Julla and Kyungsang in 1377 and 1380. Such great military accomplishments made him the Right Army General of Wang Corea. In 1392, he established Lee Corea and reigned 7 years (1392-1398) until he gave the throne to his second son, Bang Kwa Lee Jungjong the Great, who was also known as God of Archery. Later Bang Won Lee Taejong the Great, the fifth and the most gifted and talented of his eight sons and God of Sword, took the throne from his brother after the Second War of Prince in 1400 and became the third king of Lee Corea. 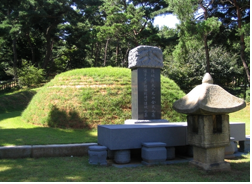 Throughout his 19-year kingship from 1400 to 1418, he laid the strong foundations for Lee Corea to last for more than 500 years before being colonized by Japanese in 1910. In 1382, he got married to Queen Wonkyung (1365-1420), the daughter of Minister of the Left (today’s Vice Prime Minister) Je Min, who bore him four sons: Grand Prince Yangryung Je Lee (1394-1462), Grand Prince Hyoryung Bo Lee (1396-1486), Grand Prince Choongryung Do Lee Sejong the Great (1397-1450), and Grand Prince Sungryung Jong Lee (1405-1418). Grand Prince Yangryung became the Crown Prince in 1404 at the age of 9, standing first in line to succeed to the throne. As he had recognized the gifts and talents in his younger brother Grand Prince Choonryung, however, he decided to pretend to go mad and insane, intentionally making a lot of troubles. One night in 1418, he visited Grand Prince Hyoryung, talented in archery and literature and fascinated with then banned Buddhism, to discuss that Grand Prince Choongryung should become the Crown Prince. 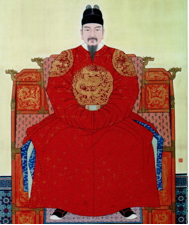 Next day, both Grand Princes Yangryung and Hyoryung secretly left the Royal Palace and did not return for the next three days during which a royal committee was formed to disqualify Grand Prince Yangryung from Crown Prince and finalize the granting of the Crown Prince title to one of Grand Princes Hyoryung and Choongryung. 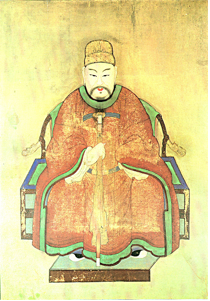 With Grand Prince Hyoryung’s absence at the royal committee meeting, the title of Crown Prince was granted to Grand Prince Choongryung, who was Sejong the Great, the fourth and most famous king and scholar, reigned for 33 years (1418-1450), and invented present Korean alphabet by himself in 1443. 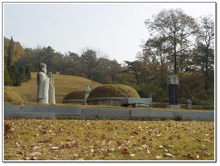 Grand Prince Sungryung, the youngest of the four, died from measles at age 14 in 1418. These later led to a great brotherhood between the three surviving Grand Princes Yangryung, Hyoryung, and Choongryung. Grand Prince Yangryung was extremely good at bomb archery and calligraphy, writing on the hanging boards of Soongryemoon, one of the four great gate buildings through which people could enter into the capital of Lee Corea, and Kyunghoeroo, a pavilion built on a pond in Kyungbok Palace for throwing parties for the king and his court officials as well as for holding feasts for foreign envoys. 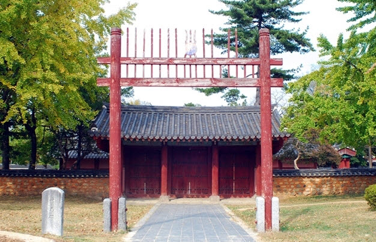 As a talented martial artist and horseback rider, he also enjoyed hunting trips and frequently put game animals in front of the temple where Grand Prince Hyoryung stayed. One day Grand Prince Hyoryung asked him, “Aren’t you be afraid of going to the hell if you keep killing innocent animals?” He answered, “Now that I’m the brother of the king (Sejong the Great) before I die and I’m the brother of Bodhisattva (Grand Prince Hyoryung) after I die, why would I have to be afraid of going to the hell?” Syngman Rhee, the first, second and third President of Republic of Korea, was a 16th generation descendant of Grand Prince Yangryung. Thus, it is natural that Chairman Byung In Lee was born with the gift and talent in martial arts that have continuously passed down through his Junjoo Lee royal family line for many generations. 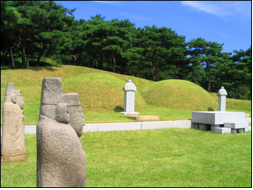 Jokyungdan in Junjoo, Korea, where the tomb of Sakong Han Lee, the founding father of the Junjoo Lee family, is. 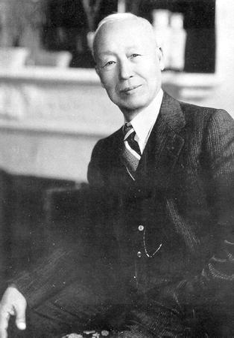 Syngman Lee(1875-1965), a 16th generation descendant of Grand Prince Yangryung and the first, second, and third President of Republic of Korea, who earned his B.S. from George Washington University, his M.A. from Harvard University, and his Ph.D. from Princeton University.